This past Friday night, my family enjoyed a special treat with the New York Islanders (my family’s favorite hockey team)! 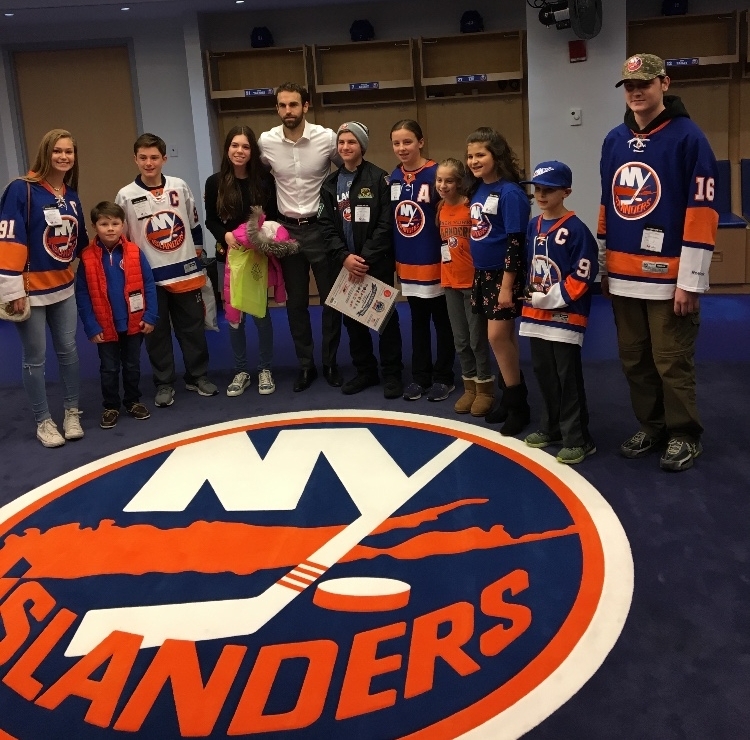 Right winger, Andrew Ladd, is always looking out for “Ladd’s Leaders,” children and teens around Long Island making a difference in their communities. Andrew Ladd heard about me and selected me as one of his leaders! As a “Ladd’s Leader,” my family was invited to watch Friday night’s game against the Ottawa Senators in a box suite, complete with snacks and drinks! While watching the game, I met several other Ladd’s Leaders and their families. One girl I met hosts a hot chocolate stand at her local park with all proceeds going to St. Jude's Hospital. One of the best parts of the evening was when all of the Ladd’s Leaders were introduced on the jumbotron! After the game, we went to the team locker room and met Andrew Ladd personally. I gave him copies of my books to share with his children, and thanked him for selecting me as one of his leaders. Although the New York Islanders lost the game, it was a thrilling night for me and my family! Another Visit to the KidZone at Mt. Sinai Hospital!